Our family owns a Saint Bernard named Princess Goliath. She is a big girl therefore she leaves big steaming piles of dog doo. Most of the time she just goes in our yard and we add it to our compost pile but when we walk her out of our yard I try to make sure the kids or I always pick up her messes. Besides some nearby horses or cows she makes the biggest piles so everyone would know whose they were. No hiding her piles and getting away with it. Usually I just send a plastic grocery bag with the girls or stick one in my pocket when I walk her. Another one of the companies I work with sent me a really nice doggy bone shaped Poop Bag Dispenser that hooks on to my Princess's collar which comes in handy and holds the EcoPoof Biodegradable Dog Waste Bags perfectly. I like that these bags break down instead of just being in a landfill for years to come. They break down in about 20 months which is awesome if you ask me. 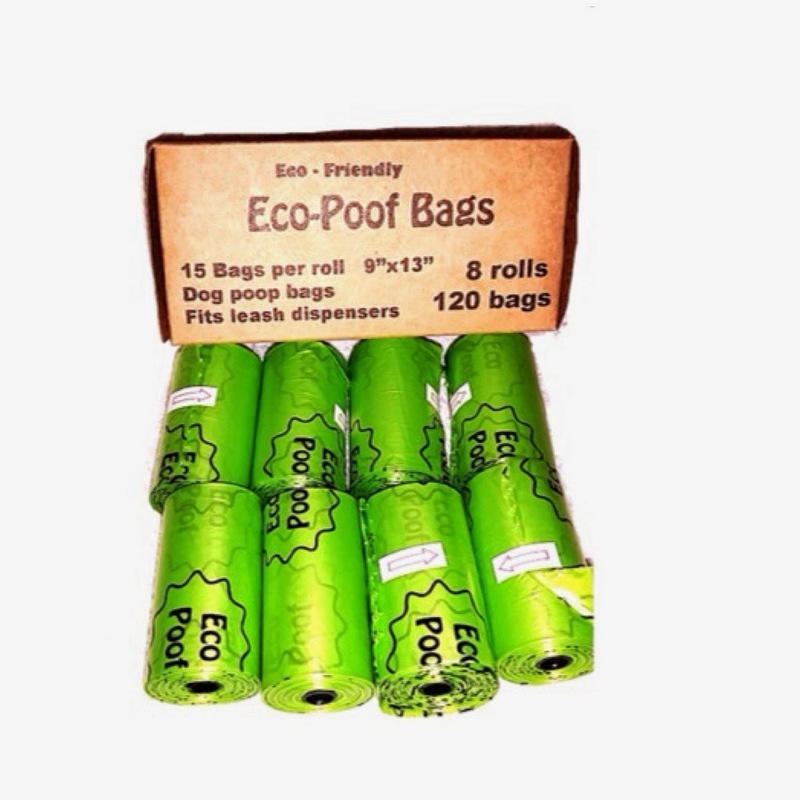 You can purchase the EcoPoof Biodegradable Dog Waste Bags on Amazon. What EcoPoof has to say about their product. We here at EcoPoof have designed a bag that is durable enough to withstand a crap-load, pun intended. It's leak proof, extremely durable, and easy to detach and open. And the bag is large enough for all types of messes, big or small. Big enough to not worry about your hand coming in contact with your dogs feces. The PLUS SIDE to this product it's bio-degradable. Our bags were developed with the new D2W technology which helps the bags breakdown without leaving a harmful residue behind. Who needs that? Our product is made POLYETHYLENE FREE, so it is recyclable. The bags are 9 x 13 inches. And fits practically all bag dispensers. Be more aware! Help us clean up and make this world a better place, ONE BAG AT A TIME!